Vinyl siding is engineered with purpose — to deliver maximum protection and beauty with minimum hassle and maintenance for years to come. Eliminate the hassles of other siding products, saving time and money year after year. 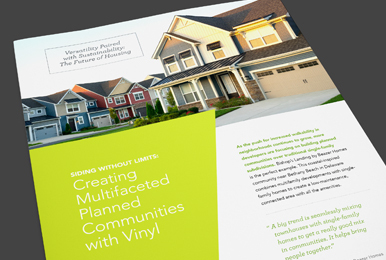 Today’s vinyl siding is the result of years of continual innovation, including a protective UV shield layer that preserves dark colors from fading. See how vinyl siding measures up to other exterior materials like brick, fiber cement, engineered wood, stucco, and wood siding. Insulated siding adds a thermal layer to help homes stay cool in summer and warm in winter.